“Today the Frente POLISARIO concluded the second UN-led roundtable on Western Sahara. We participated in these talks constructively and without pre-conditions with an aim towards fulfilling our people’s inalienable right to self-determination and independence. It is clear that the only practicable, realistic and enduring solution is one that grants our people their right to freely and democratically decide their own fate, without preconditions. Only with the approval of the Sahrawi people can a solution be enduring and foster a genuine peace that paves the way for a free, prosperous, and democratic Western Sahara, which will contribute to regional peace, stability, security and integration. The Frente POLISARIO remains committed to a peaceful, genuine solution, and we welcome the steadfast efforts of the UN Secretary-General’s Personal Envoy and urge the international community to fully support him. But we are under no illusions about the obstacles to peace. Western Sahara remains under Morocco's illegal, repressive occupation, which systematically violates the human rights of the Sahrawi people. This basic reality cannot be ignored; self-determination is incompatible with occupation. The building of trust and confidence between the two parties remains fundamental to genuine progress. 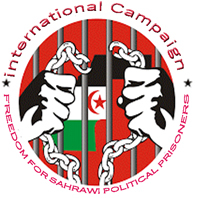 In this regard, the Frente POLISARIO demands the release of all Sahrawi political detainees illegally held by Morocco, the presence of UN human rights monitors in the occupied territories, and an end to Morocco’s illegal plundering of Sahrawi natural resources.